8 February 2019, Juba – Severe acute malnutrition (SAM) is one of the main causes of illness and death among under-five children in South Sudan. In 2019, nearly 260 000 young children are estimated to suffer severe acute malnutrition and, at least, 10 to 15 percent are expected to develop medical complications which can impede intellectual potential and inhibit physical growth, resulting in increased risk of lifelong disability. To improve the survival rate and reduce the impact of acute malnutrition, WHO is implementing an integrated health/nutrition/ water, sanitation and hygiene (WASH)/protection strategy as part of the Emergency Nutrition program. This strategic initiative focuses on stabilization centers in areas with the highest burden of acute malnutrition in South Sudan. Over 3 781 Children under five with SAM and medical complications in the 17-priority area admitted in SC will benefit from these interventions over the next six months. 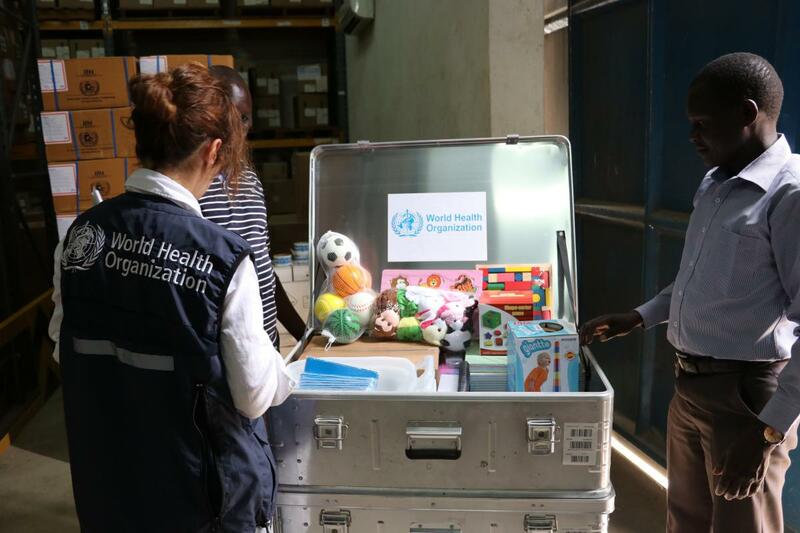 According to the National Guidelines for Inpatient Management of SAM (2018 MoH/WHO), stabilization centers concurrently provide medical and nutritional therapy, in addition to other forms of psychosocial care to mothers and caretakers. WHO Nutrition Technical officer, Ms Marina Adrianopoli, speaking on WHO efforts in provision of technical support, stated that WHO has designed an integrated package to support mothers and caretakers with adequate psychosocial services and spaces in stabilization centers, Ms Adrianopoli also noted the detrimental effect of armed conflict, displacement, Gender Based Violence (GBV) on the provision of adequate nutritional care by parents to their children, recognizing the significant psychological and social suffering that can result. Efforts are underway to mainstream early childhood development interventions in stabilization centers to address the necessary emotional and physical stimulation needed for the child’s recovery and to reduce the risk of developmental and emotional problems. Stabilization centers are holistic ‘safe’ places paramount in the child’s wellbeing. They serve as an entry point to support mothers and caretakers with adequate psychosocial services and spaces, The Center identifies, refers cases, and raises awareness. It is expected that more than 4000 mothers/caretakers of children admitted in stabilization centers, will benefit from psycho social support in stabilization centers in 2019. 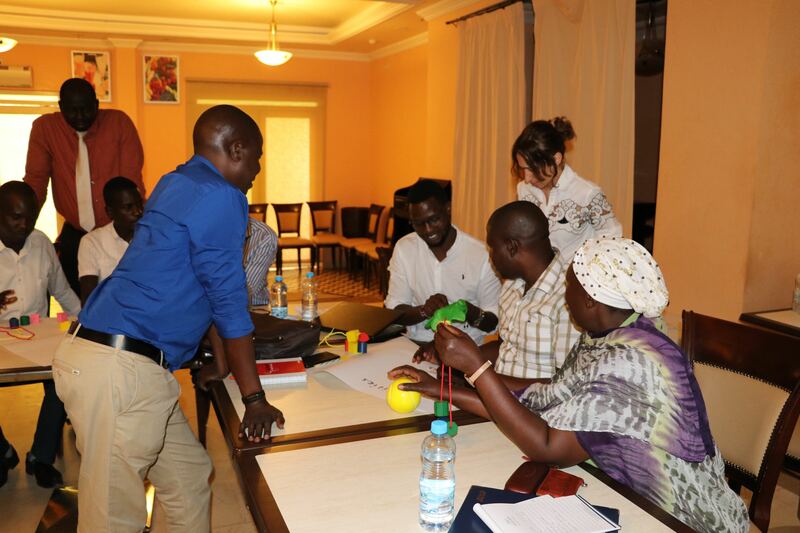 As part of the ongoing efforts, WHO in collaboration with UNICEF trained 14 participants drawn from 11 partner organizations on early childhood development and psychosocial support to mothers, caretakers and children in stabilization centers’. In addition, WHO procured 10 early childhood development kits to be distributed to 10 facilities in priority locations to enable health workers to create child friendly spaces in stabilization centers and to stimulate children’s cognitive development and wellbeing, through play therapy. 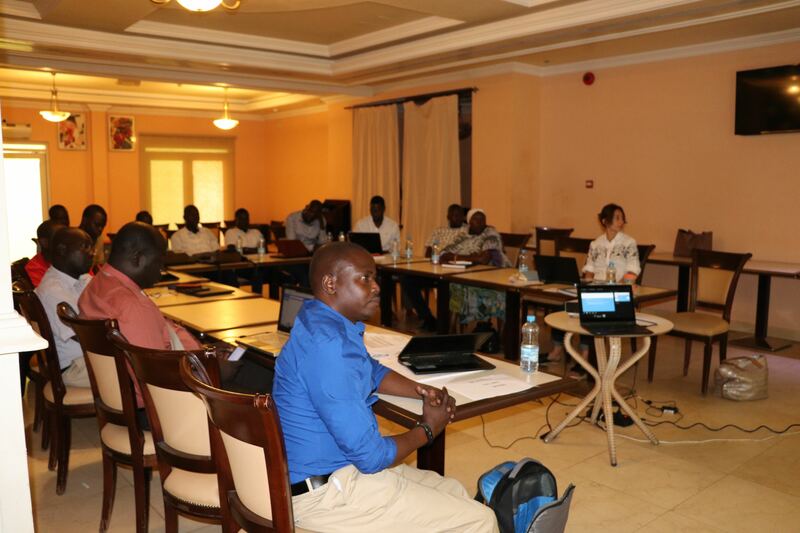 To reinforce efforts to close child survival gaps, WHO in collaboration with Action Against Hunger (ACF) has conducted training on integrating WASH and Nutrition and equipped 20 stabilization centers with water quality control systems to mitigate the risk of water borne infections in stabilization centers. We would like to recognize the South Sudan Humanitarian Fund (SSHF) that provided funding to support the country in provision of high-quality, people-centred health services, based on primary health care strategies and comprehensive essential service packages.